A list of users will be displayed, each section containing one user class type. 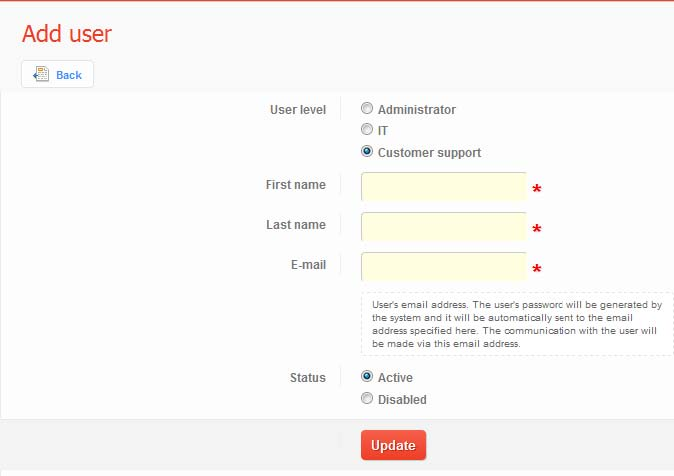 Each section has 5 columns with the user info (username, email, login ID, status). 1. Click on Add User button. The system will automatically generate a password that will be sent to the user’s email along with the account information. 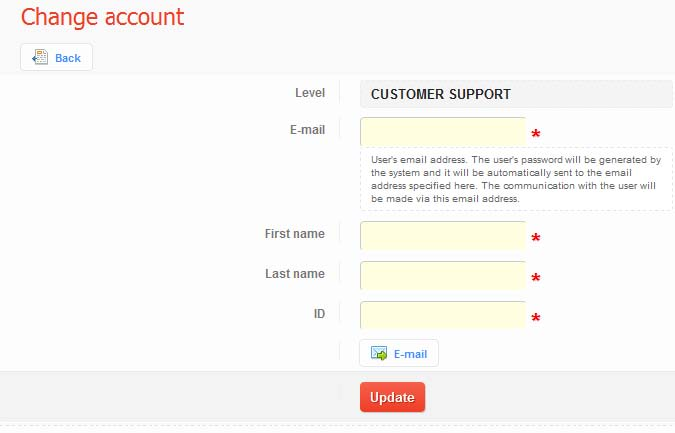 Any subsequent updates or communication with the user will be sent to the email address specified in the user setup process. 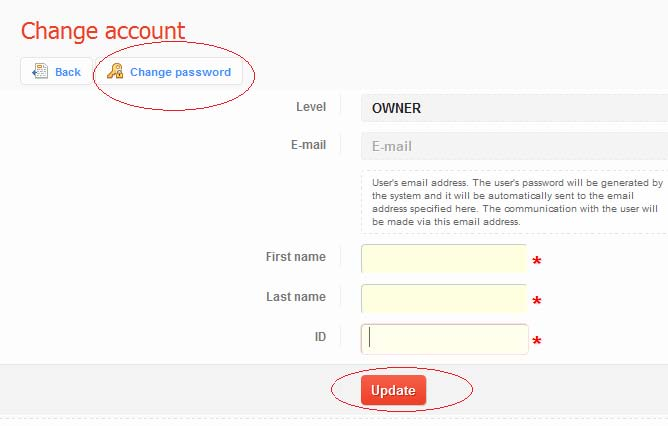 After setting up an user account, you can review and edit the previously entered information. 1. Click on Active / Inactive link from Status column. 2. Click on arrows icon to select the new status. The transactions made in demo environment are hidden by default for this user type. The transactions made in live environment are hidden by default for this user type. Ultima modificare efectuată la 20:00, 14 iulie 2012. Pagina a fost vizitată de 19.930 de ori.